Do you sometimes feel confused about the purpose of life? And are you ready for a dose of clarity, wisdom, and answers to the big questions? Drs. Ron and Mary Hulnick share some of the life changing Principles & Practices of Spiritual Psychology and how they can help us clear confusion and go higher in our consciousness. As we start to identify more with our Spiritual nature, and understand challenges are opportunities to grow and learn, we become more empowered, and life becomes more clear, meaningful, and joyful. Drs. Ron and Mary Hulnick are pioneers and worldwide leaders in the field of Spiritual Psychology, as well as Teachers and Facilitators of Awakening in Consciousness. 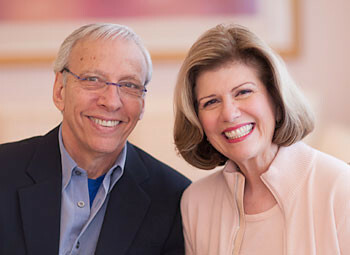 Ron and Mary are renowned educators, authors, and the Founding Faculty and Co-Directors of the University of Santa Monica, where they have designed, developed, and facilitated Educational Programs in Spiritual Psychology for the past 35 years. Both are licensed Marriage and Family Therapists, and Mary is also a licensed Clinical Psychologist.